Many head to Japan for the food. Some come for the ultimate big-city cultural experience in Tokyo. Others make the journey north to Hokkaido each winter for some of the best powder skiing on the planet. But, this island nation is also an ideal destination for trekking, offering a variety of multi-day hikes for everyone, from summit seekers to wildlife explorer to wannabe-poets. Here are seven of the most beautiful trekking routes in the country. Kumano Kodo, located southwest of the Kyoto Prefecture, is actually a series of routes covering 191 miles across the Kii Hanto Peninsula. 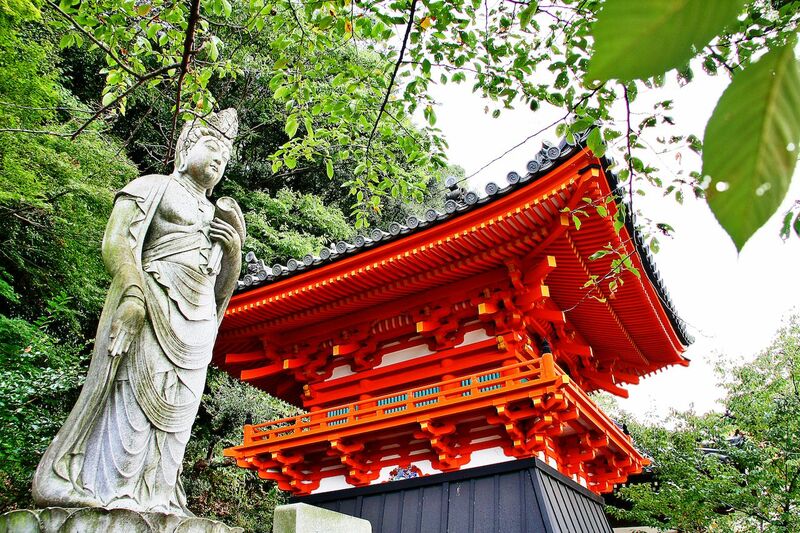 A designated UNESCO World Heritage Site, the pilgrimage routes originated over a thousand years ago as a way to reach Hongu Taisha, Hayatama Taisha, and Nachi Taisha, collectively known as Kumano Sanzan, the Grand Shrines of Komono. 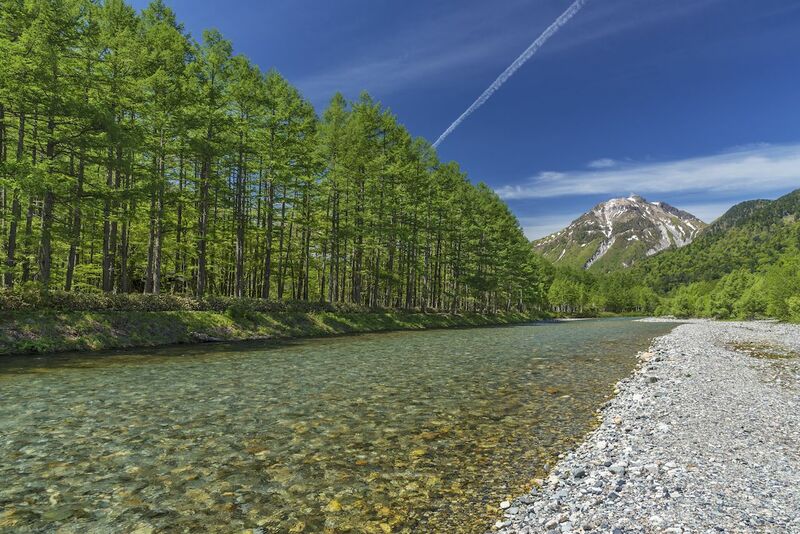 Base yourself in the city of Tanabe and bus to trailheads throughout the region. You’ll stay overnight in traditional Japanese inns called ryokans. 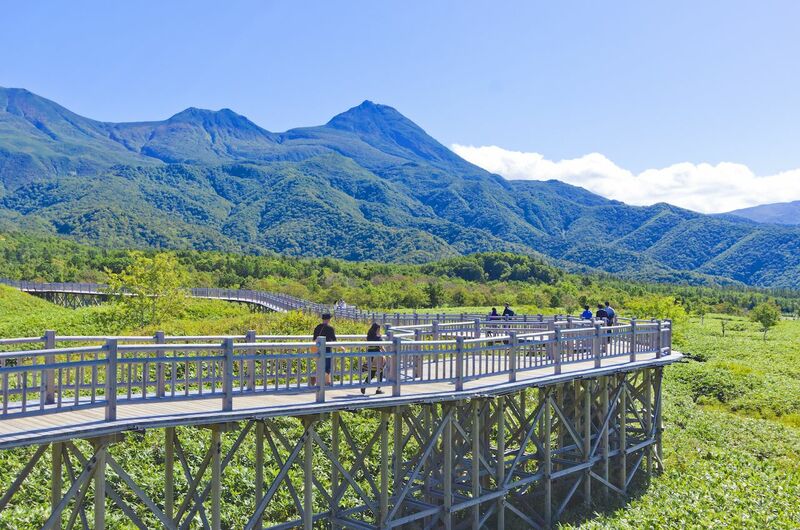 Hosshinmon-oji is the place to kick off your trekking with a five-mile hike on the main Nakahechi Route. During your trek, you’ll typically hike between three to twenty miles per day, depending on group size, and can visit all three of the Grand Shrines of Komono if you have the time. As a warning, the hikes are often quite steep and involve a lot of straight ascents and stair climbing. The northernmost of Japan’s main islands receives a lot of attention for its deep powder and epic skiing conditions, but there’s just as much adventure to be had there during the summer months. This UNESCO World Heritage Site is one of Japan’s final frontiers when it comes to pristine wilderness. Guided tours are available, often taking two to three days, but you can also explore the peninsula on your own. The Shiretoko trek highlights the natural beauty of the island and offers a hefty dose of isolation in the process, something you’ll appreciate if you spend time in Tokyo before coming up north. The trail is popular but by no means overrun. Fly into Sapporo or take a 19-hour ferry from Tokyo (about ¥1,000, the third of the price of a flight) and make your way to the eastern part of the island for the trek. The journeys starts at Iwaobetsu Onsen and ends the next day at Kamuiwakka Yu-no-taki, with one night of camping at altitude in between. Ambitious summit seekers can spend one additional day summiting Mt. Rausu at 5,448 feet. This one’s for the temple fanatics who aren’t afraid of hitting the trail. You’ll pass 88 temples if you make the entire trek, which requires that you dedicate about a month and a half of your time to this pilgrimage. Shorter treks are more common and can often be done as day hikes with bus and taxi rides in between, cutting the trip down to less than two weeks or less if you skip some of the less popular temples. However you choose to do the trek, plan on making a giant loop; tradition holds that you conclude your journey where you started, at one of the temples. For the serious summit seeker, trekking the most stunning collection of peaks in the Japanese Alps is a must do. 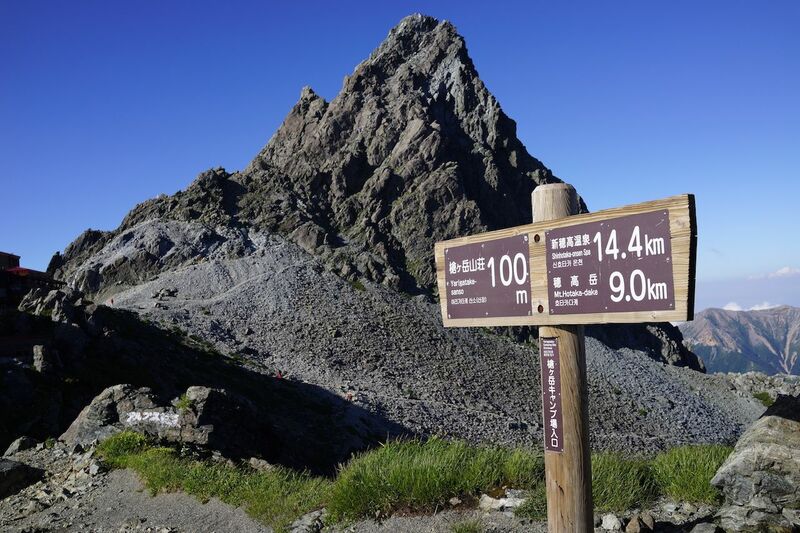 There are multiple peaks in Hotaka-dake, and each generally has its own route to the top. Beginning at Dakesawa Hut and ascending to Kimi Kodaira is the steepest route and among the most challenging. The hike up to Mount Oku Hotaka and Mount Mae Hotaka is also popular. Be sure to bring a water filter and your backcountry supplies, as you’ll truly be out in the wilderness. Access is possible from Tokyo, but you’ll have better luck coming in from Nagano. Another stunning summit hike in the Japanese Alps, Yarigatake offers an overnight stay at one of the many huts along the way prior to reaching the summit; however, you can also camp if that’s more your style. Huts are typically open from April to November and aren’t free to stay in. They also tend to get quite crowded during summer months — you may find yourself sleeping alongside a bunch of strangers. The beginning parts of the hike are pleasant, passing through open fields filled with lush plant life, but the summit push is rugged at points. This is particularly true as you traverse the ridge before the final ascent, which requires a bit of mountaineering prowess to complete. There are multiple routes available to the summit. The route from Yarisawa valley to Kamikochi is heavily packed with tourists, so if you want a more peaceful hike, start from Tsubakuro-dake and walk the ridge over to Yarigatake. Literary nerds, there’s finally a trek for you. 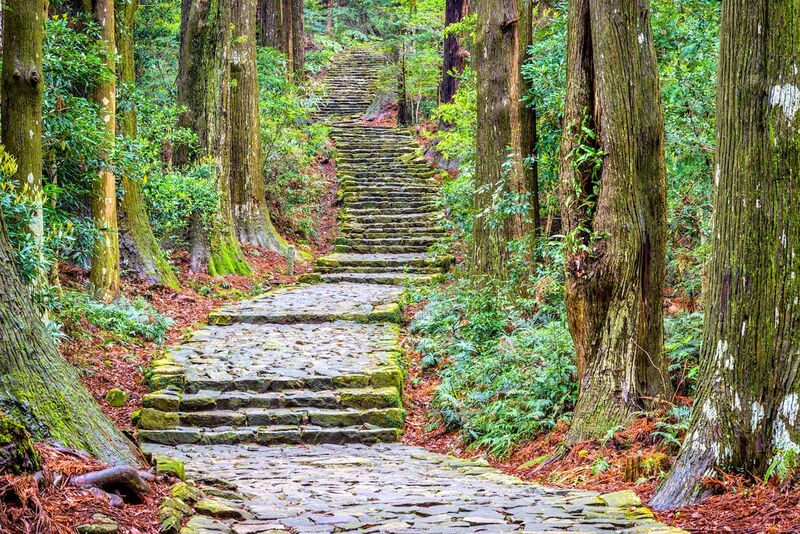 Follow the footsteps of 17th-century haiku master Basho on his legendary Narrow Road to the North. This trek is guided, meaning that even if you aren’t already a Basho fanatic you’ll come away with a slew of knowledge on his work and travels, as well as an epic trek under your belt. The actual trekking is on the easier side, passing through country roads, forests, and mountain trails that are accessible on their own to residents and visitors not on the guided tour. 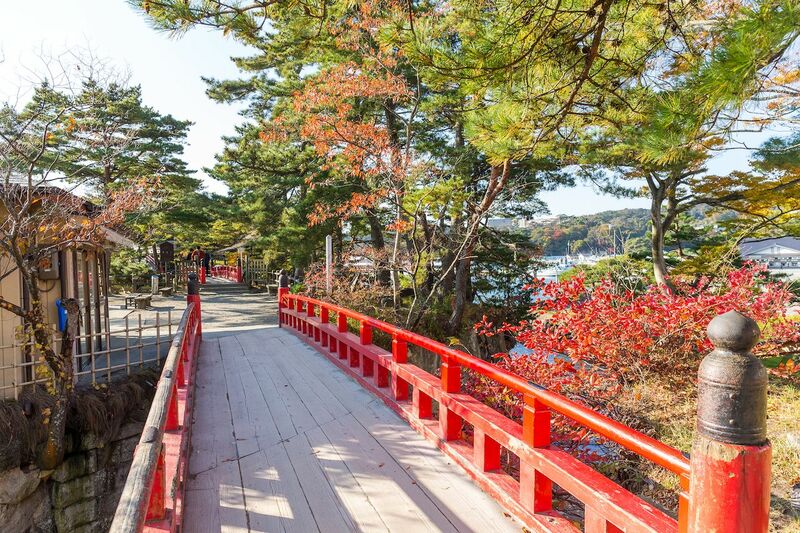 Along the way you’ll take in Matsushima, which is known as one of the Three Views of Japan, along with beautiful gardens and pristine views from the mountains. 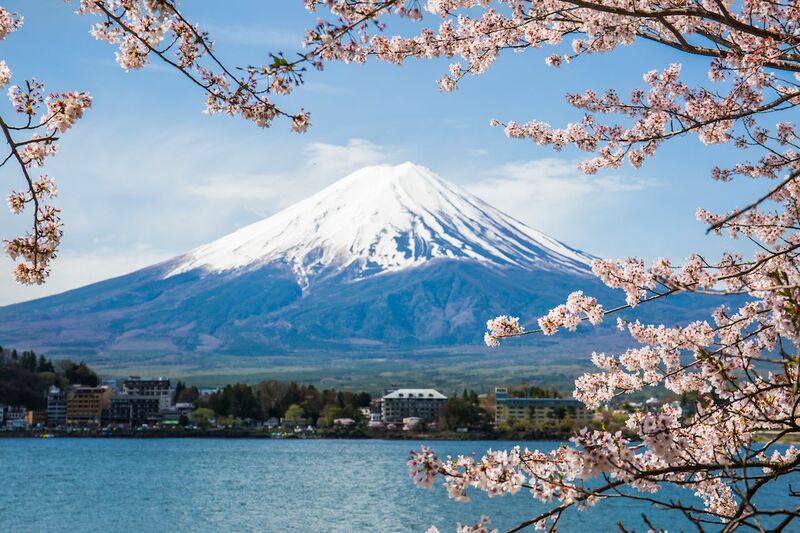 Mount Fuji is an iconic Japanese landmark, easily accessible from Tokyo and among the country’s most famous backdrops. Mount Fuji is an active volcano, with a limited hiking season running from July 1st through early September, or whenever the snow takes hold. There are four trailheads to access to the summit, each only about a two-hour drive from the city. You can take a bus to any of them. The hike is doable in one day if you start early — it takes six to seven hours to climb. Camping is an option also, and there are mountain huts available just off the trail. If you stay the night, wake up before dawn and watch the sunrise from the summit — it’s an absolutely unforgettable experience.